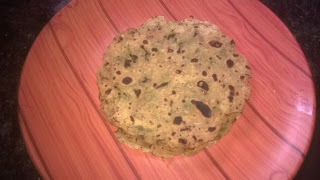 Makki ki roti and paratha is a popular Punjabi recipe. Makki ki roti and sarso ka saag great combination of Punjab. 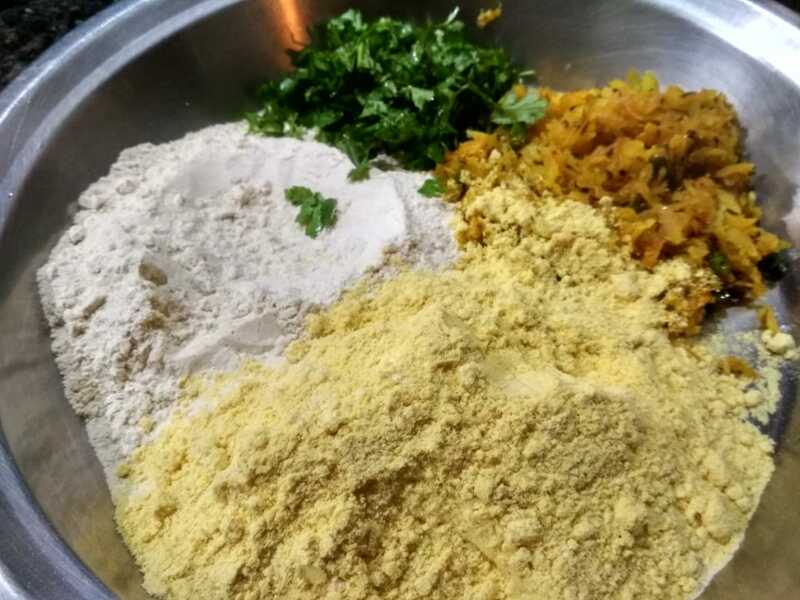 Maize flour is gluten free flour and it is very popular in winter. Everyone like paratha in winter season. 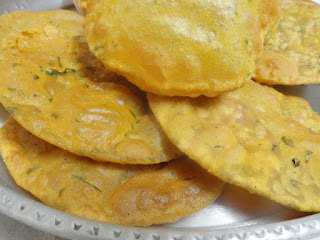 In winter I always to make makki ka paratha and makki-muli paratha. 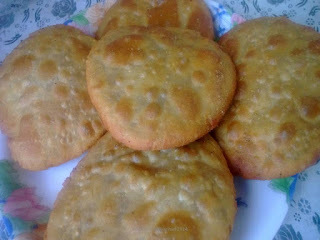 You can also try the new version of makki ka paratha or makki-muli paratha. It can be serve breakfast or dinner also. Cooking Time – 10 min. Take a pan or kadahi add, carom seed, jeera, saunf and sauté 1 min. After that add ginger paste, green chilli and sauté. Add grated muli and sauté 1 min. Now add salt, turmeric powder and red chilli powder sauté 4-5 min. 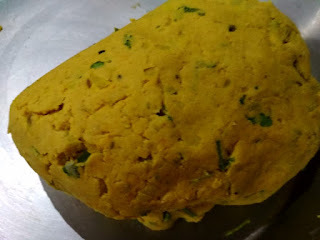 Take a bowl or thali add all ingredients, makai ka aata, wheat flour, fried muli mixture, coriander leaves. Mix all ingredients properly and knead in to a soft dough using enough water. 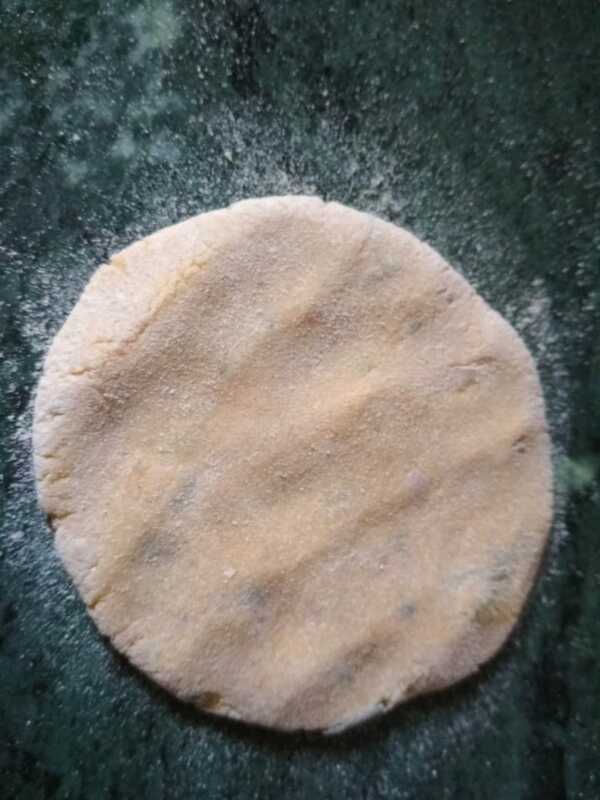 Divide the dough in to equal portion and roll out each portion like chapatti. 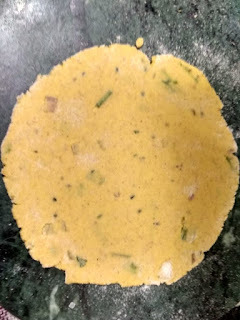 If you have problem to role you can dust wheat flour for roiling paratha. 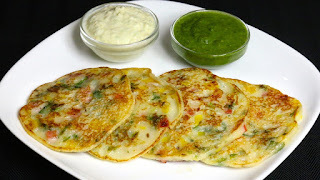 Heat a fry pan or Tawa and cook each paratha using little oil, till golden brown on both sides. 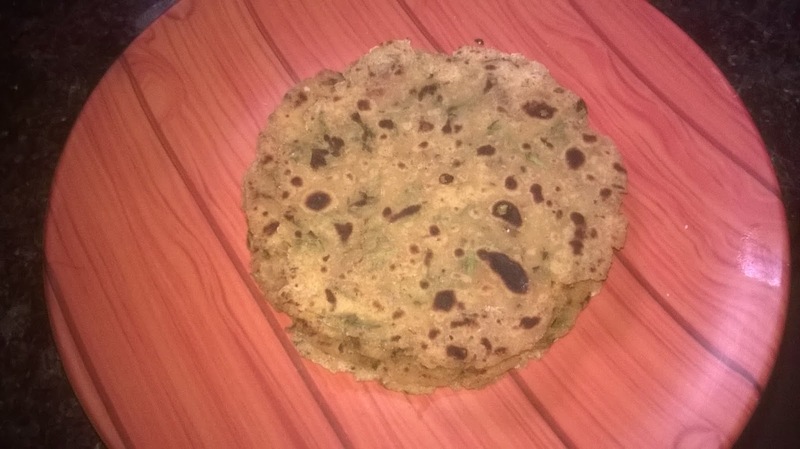 Paratha is ready to serve. Serve with any type of pickle.